Between my family, running my business and trying to maintain my sanity, there just aren’t enough hours in the day. I’m always trying new, simple recipes that our family will love to eat. Even better if the recipe would make a great addition to a party food table! 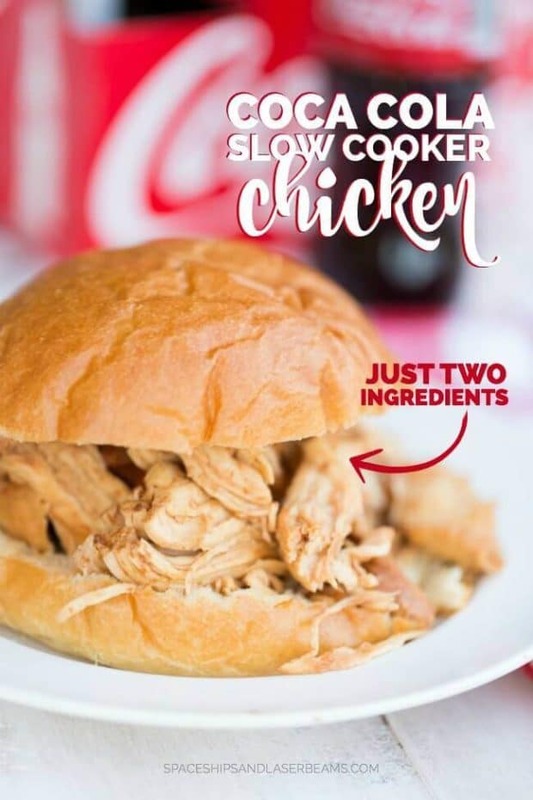 This easy slow cooker BBQ and Coca-Cola chicken recipe is perfect for a weeknight or for your football themed party for any big game. 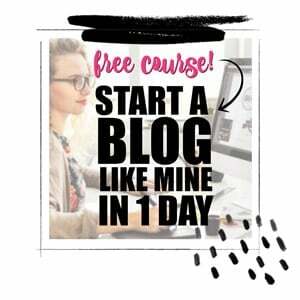 Because of how busy I am, I’ve become a very big fan of my slow cooker — especially when entertaining! Even though I regularly use my crockpot for our weeknight family dinners, I’ve learned that using it to prepare for guests saves me both time and sanity. This crockpot barbecue chicken recipe is no exception. It has a great sauce and works great as a busy weeknight meal. But it’s been a big hit at our football themed parties as well. Everyone loves great barbecue flavor and this recipe won’t let you down! Combine summer classics for a delicious buffalo chicken dip! Short on time? Make this Easy Teriyaki Chicken & Rice for a quick dinner idea. I’m obsessed with this Old Fashioned Chili recipe — easy and delicious! These easy crockpot recipes will be a big hit with your family! Easy Chicken and Dumplings are a great addition to the dinner table. Get inspired with these 18 Ways to Make Chicken Breast Exciting! I love to experiment with easy recipes that can help me entertain without stressing, all while wowing my guests’ socks off with deliciousness! This entire meal is simple from start to finish. 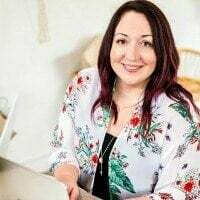 I love that I can get it started early in the day and work on other projects or clean up the house before guests arrive. When it’s time to serve, it’s marinated perfectly and has an incredible, juicy flavor. There’s a secret to the sauce — I’ll share with you shortly! Since you can turn the heat down on your slow cooker, it’ll stay the perfect temperature until it’s time to serve. 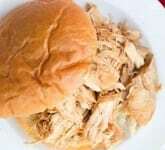 For easy eating, I opted to shred our chicken and serve it on sandwich buns. We added extra BBQ sauce before eating for an extra zip. 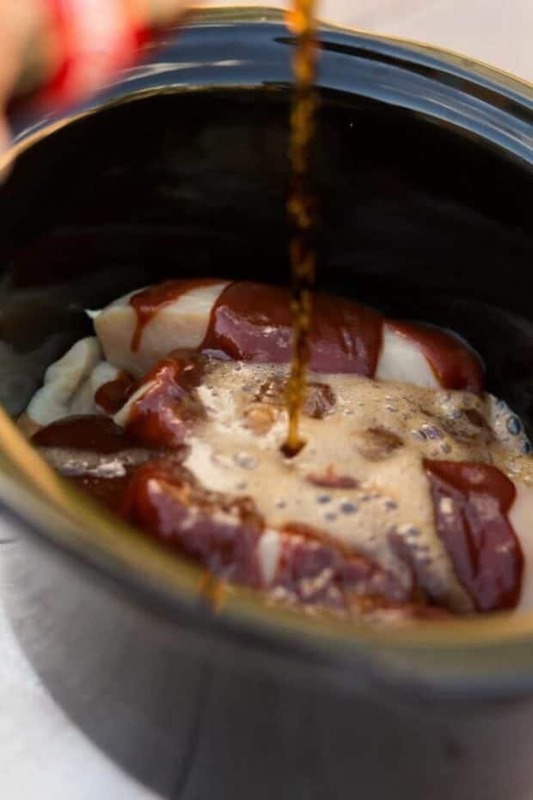 Safe to say, crockpot chicken with barbecue sauce is a favorite for me! This crazy simple BBQ pulled chicken has only three ingredients. Count ’em…. three! It doesn’t get easier than that. 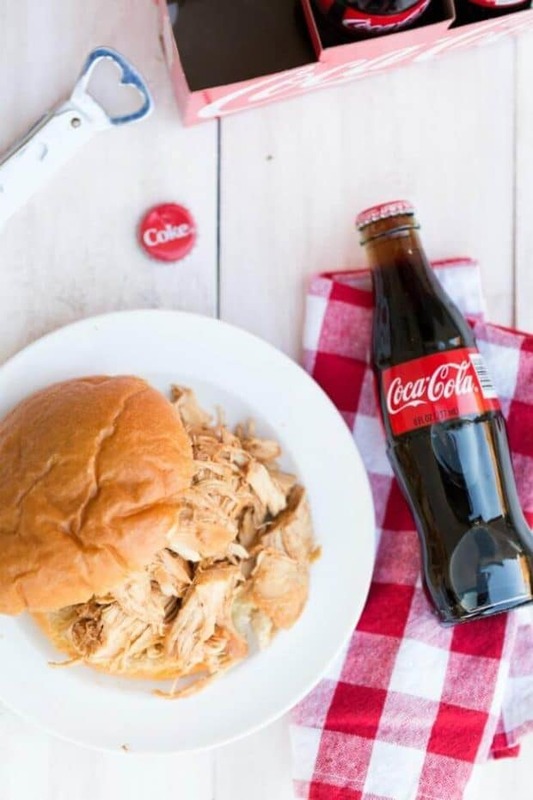 You’ll need 8 ounces of Coca-Cola Classic, 1 cup BBQ sauce and 4-5 boneless, skinless chicken breasts. Place chicken breasts into your slow cooker. In my opinion, you can never go wrong with barbecue sauce! Everyone in our house loves to eat BBQ chicken with Classic Coleslaw and Elbow Macaroni Salad. You can’t go wrong with Banana Pudding for dessert. Easy, filling recipes are definitely the way to go if you’re getting ready for a football party this winter. 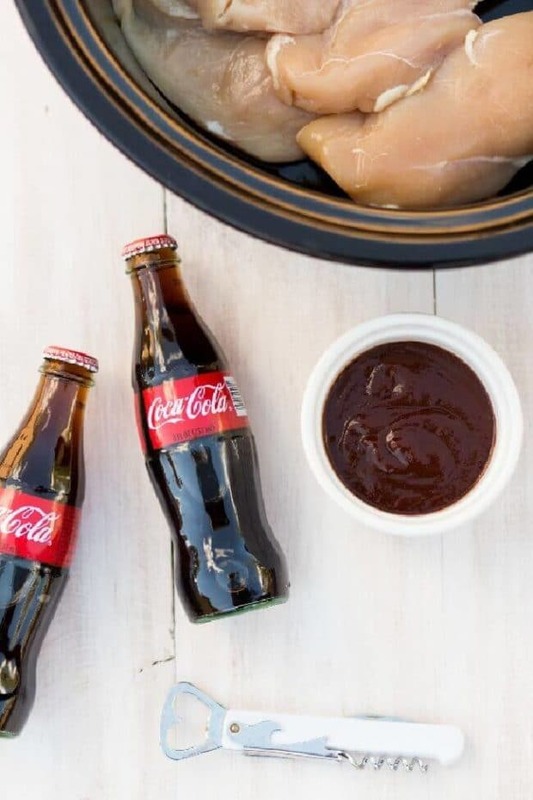 Your guests will love this Coca-Cola + BBQ Slower Cooker Chicken recipe! Can you substitute the cola?